Lightspeed is a science fiction and fantasy magazine. In its pages, you will find science fiction: from near-future, sociological soft SF, to far-future, star-spanning hard SF—and fantasy: from epic fantasy, sword-and-sorcery, and contemporary urban tales, to magical realism, science-fantasy, and folktales. No subject is off-limits, and we encourage our writers to take chances with their fiction and push the envelope. Edited by bestselling anthologist John Joseph Adams, every month Lightspeed brings you a mix of originals and reprints, and featuring a variety of authors—from the bestsellers and award-winners you already know to the best new voices you haven’t heard of yet. 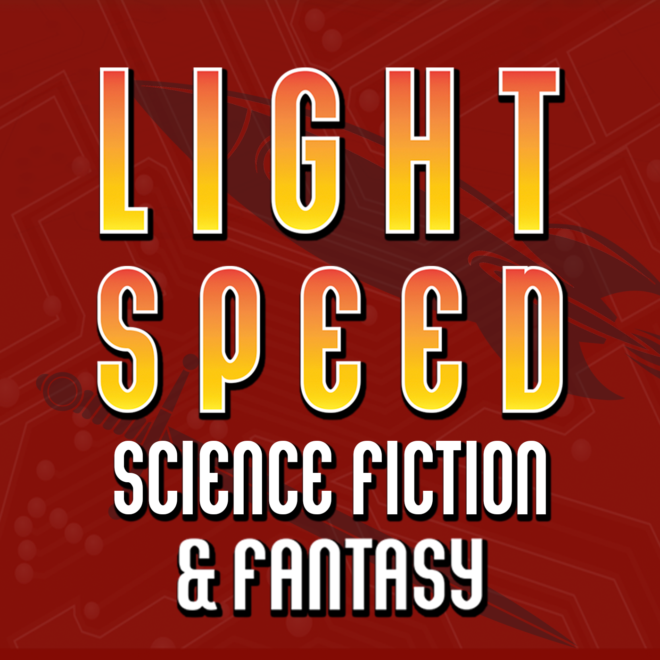 When you read Lightspeed, it is our hope that you’ll see where science fiction and fantasy comes from, where it is now, and where it’s going. The Lightspeed Magazine Story Podcast, produced by Grammy Award-winning narrator and producer Stefan Rudnicki of Skyboat Media and hosted by Jim Freund, is presented twice a month, featuring original audio fiction and classic reprints from Lightspeed Magazine.